Looking westbound along the future Louisiana 168 on its approach to future Interstate 49 near Ida. The road temporarily shifts to the south so construction can proceed on the original alignment. Photo taken 09/04/09. 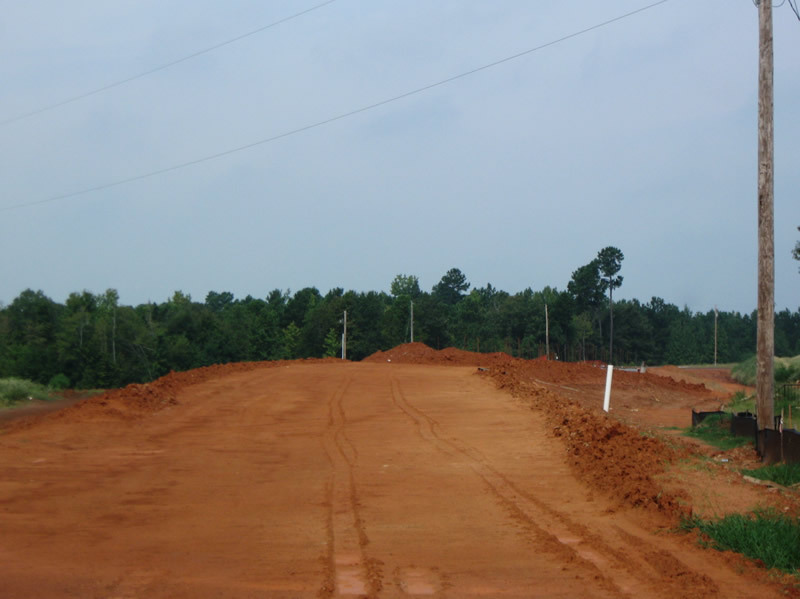 Looking southward at the future mainlines for Interstate 49. Photo taken 09/04/09. 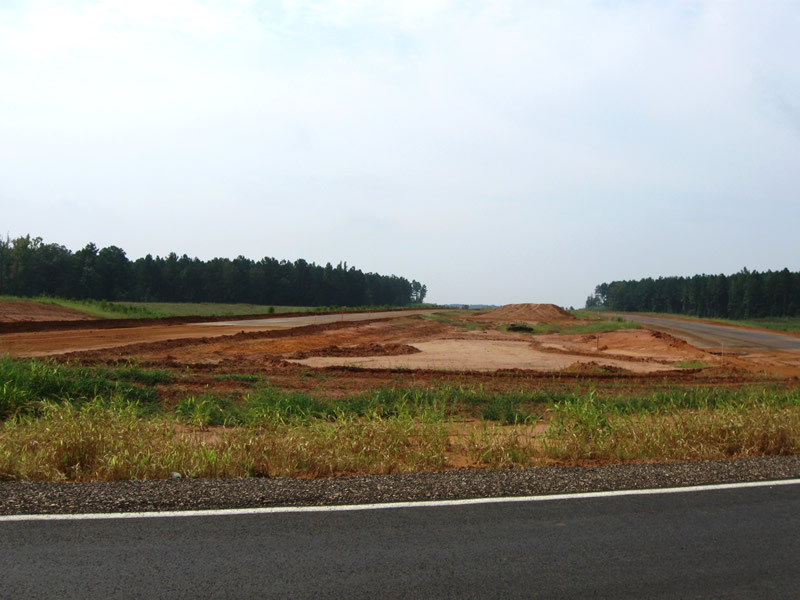 Looking northward at the progress of the future interchange with Louisiana 168 and Interstate 49. Work is progressing nicely on the bridge abutments as well as the bridge supports for the future overpass that will carry Louisiana 168 traffic over Interstate 49. Photo taken 09/04/09. 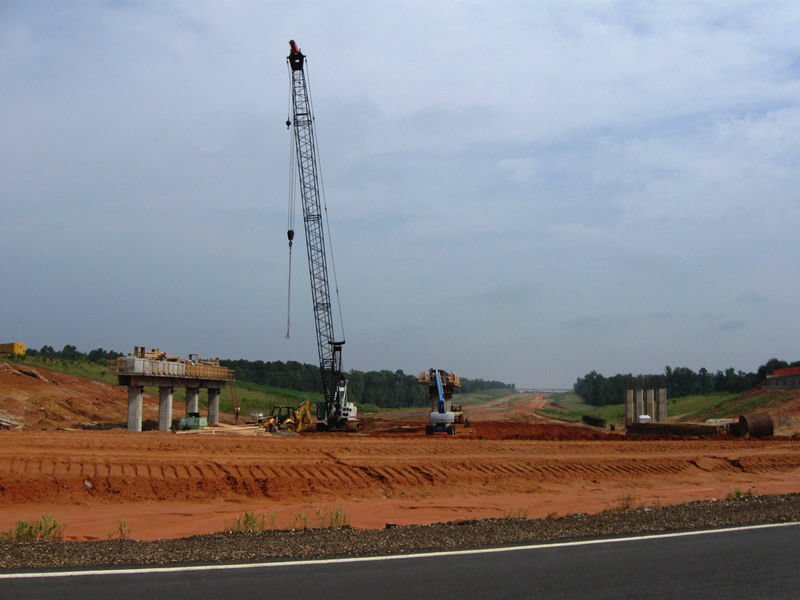 On the Arkansas side there is still no evidence of construction to connect the Louisiana portion of Interstate 49 with Arkansas 549. 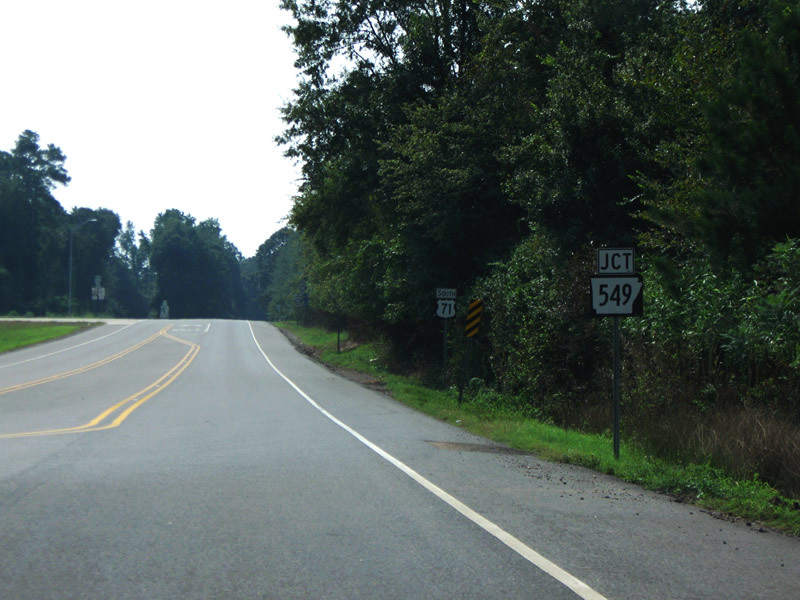 Northbound U.S. Highway 71 approaching the current southern terminus of Arkansas 549. 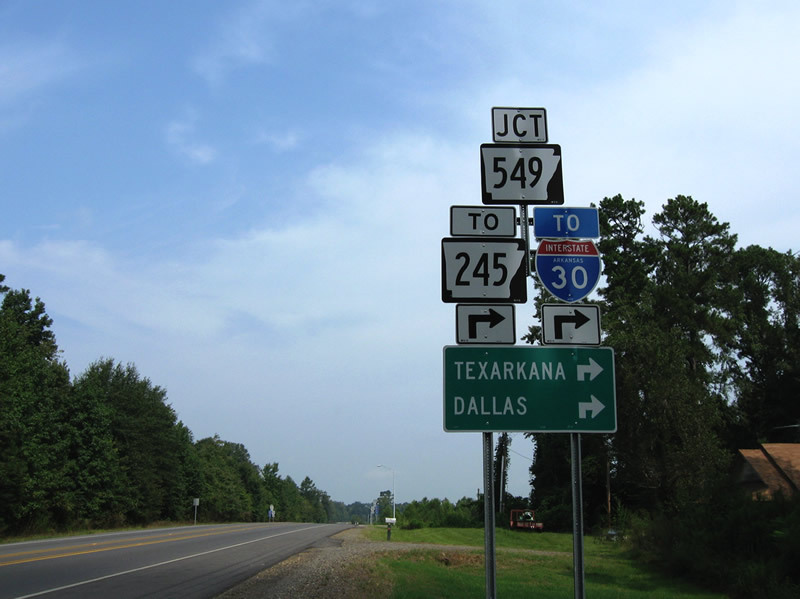 Interstate 30 trailblazer and Arkansas 245 trailblazers are present to encourage motorists to use the freeway to reach Texarkana instead of using U.S. Highway 71. Photo taken 09/04/09. Southbound U.S. Highway 71 approaches Arkansas 549 1 mile south of Arkansas 160 in Doddridge. 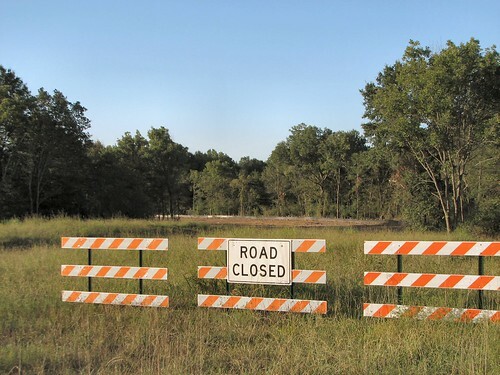 Construction of the future extension south to meet with the Louisiana portion of Interstate 49 still has not begone as the state is waiting for Louisiana to finish their portion up to the state line. Photo taken 09/04/09. ^ Do you know what the scope of work is on that project? It looks like the interstate is crossing AR 22 just east of where that shot is taken. 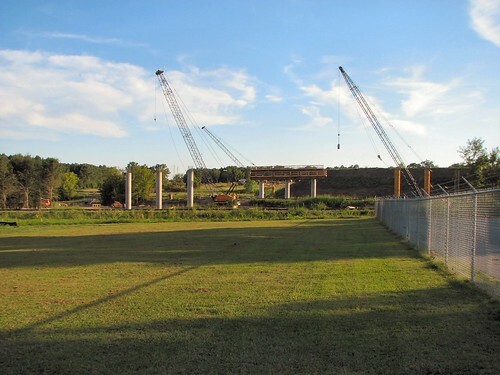 Bridge piers are now being built to the south of AR 22. There is a little bit of dirt work on the north side, but no piers as of yet. I hope to have a few photos on Flickr in the next day or two (been busy). So is that the only location in the Fort Smith area that you know of where construction is taking place? Looking forward to seeing some pics! I know Interstate 49 is not a favorite with some road fanatics, but I thought it was pretty cool to travel on an interstate and not have to see the tops of houses and big box stores at every interchange. There are 2 or 3 interrelated projects in the same vicinity. 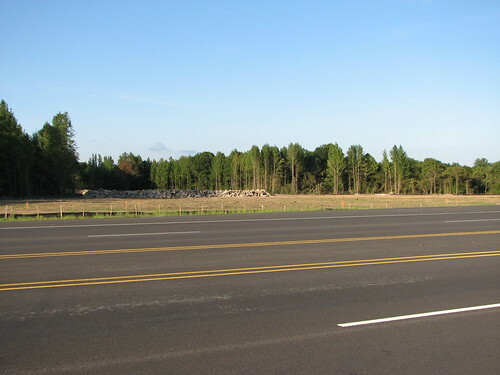 A grade separation was constructed last year just to the south, but no related "hardware", just big piles of dirt. Things seem to be progressing quickly on the bridge piers. I'll go back in a week or two and try to get some updates. Looks like they are definitely trying to get something going for Interstate 49 in that area. I am interested to see how far they are going to push this construction north and south of this future interchange. From reading an article on the Times Record, I see that Interstate 49 will eventually connect Arkansas 22 with U.S. 71 near Jinny Lind. I guess I did misspell the town name. That's what I get for looking at the name really quickly. I have that same problem at work trying to type text in Autocad!! I figure 49 will end at 3 Trails Crossing or else 71's at-grade intersections will be upgraded . I seriously doubt it will replace I-29.